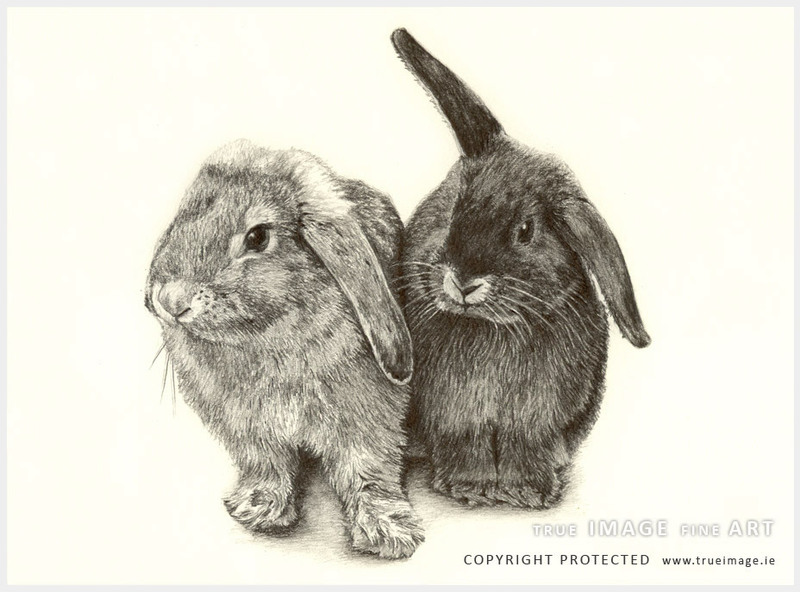 This is a portrait of two georgeous rabbits called Little Grey and Velvet. The client commissioned this portrait for his wife as a Christmas present in 2012. The portrait is 20 x 15cm (8" x 6") in size which is the smallest portrait size I offer. I was still able to put in a lot of detail to capture their personalities. I worked on Fabriano paper as usual with Staedtler graphite pencils (these are my preferred pencils) ranging from 2H to 6B. 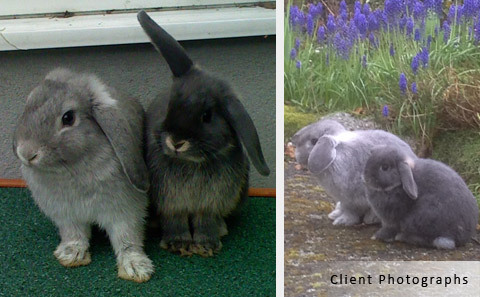 The client had lots of photographs for me to work from. I have kept the background unshaded since the drawing was quite small. ...just to say I received the portrait this morning. It is great thank you, I am delighted. Thanks again for all your help."